That mouthful does a pretty good job at getting to the heart of HammerSpace, which is to layer policy on top of your existing storage, moving data around to wherever you need it to be automatically. And if that happens to include hybrid cloud, that’s just fine with HammerSpace. 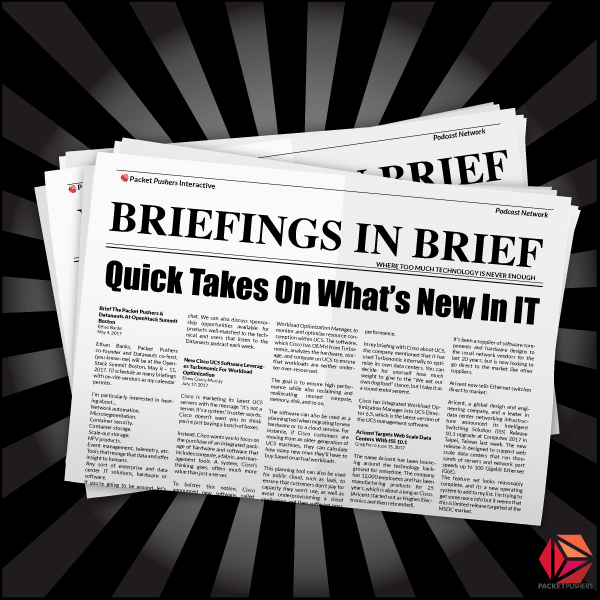 In this briefing, HammerSpace announced the ability to provide a global namespace for persistent storage in Kubernetes environments. As containers were originally conceived to be stateless and ephemeral, that is you should be able to stand them up and tear them down at will with essentially zero application impact, the idea of persistent storage seemed a bit wrong. Why do we need persistent storage for stateless containers? As container use cases have expanded, stateful containers have become normal, and the need for persistent storage has grown right along side. But presenting that storage to a container in an automated way hasn’t been all that easy. The answer to this question is to make data declarative. That is, describe what is needed from storage, and it just happens. At least, from a devops perspective, it looks like “it just happens.” In other words, policy drives the automation without admins having to pay too much attention. Once the policies are in place, snapshots are put where they are needed for access or resilience. You might be accessing storage that’s on prem. You might be accessing storage that was burst to public cloud if policy dictated. You can also turn off HammerSpace in the public cloud when you need to save some dollars in your cloud provider’s bill, although global de-dupe to reduce the amount of data transiting cloud is part of the package. Of course, nothing here is actual magic. What’s really going on is that K8s is talking to HammerSpace DSX Data Services Nodes as well as the Container Storage Interface as presented by HammerSpace. Kubernetes workloads are getting local file type performance via NVMe-level IOPS even though they are talking to HammerSpace and not storage directly. HammerSpace cited a couple of key use cases for this technology that will be familiar to folks who have run into stateful containers. The first use case is databases. For example, noSQL, MySQL, Elastic, Redis, Cassandra, mongoDB, and MS SQL Server. HammerSpace described this scenario as helpful to folks who need low latency access for their builds to go fast. The second was for transparent dev/test to production. For example, you could take a snapshot of data living on your on-premises NetApp, present it into the cloud read-write, a benefit of a Kubernetes global namespace according to HammerSpace. This is a complex product and announcement, and lots more to the story. If you think HammerSpace might solve a business problem you have, visit HammerSpace.com for more information. And if you talk to someone there, tell them you found out about them on Packet Pushers.